Our company has been providing its services in the field of hotel textiles since 1975 for 4 to 5 star establishments (Table Spread, Cover, Runner, Napkin, Fleece, Skirt, Chair Cover, Haircloth, etc….) (We have also included the towel group in our products range for the last ten years). We have capacity of 2.000.000 m approximately in our own plants. If the demand is increased, then the amount of production could be increased. 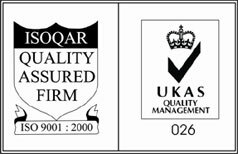 The following issues have been adopted as our principles; To focus all of our activities on satisfaction of our customers as our company, which manufactures HOTEL AND RESTAURANT TEXTILE PRODUCTS, to continually develop the quality of the products and services we provide for our customers and therefore to cater for the expectations of our customers, – To manufacture products in compliance with the international regulations and standards, – To deliver our goods on time, To provide for our personnel to work within teams by providing them with continuous training and by raising their awareness. These principles cover the work NILTEKS performs and its work methods. The objective of NILTEKS is to set up and continually develop an effective and capable Quality System, which fulfils the requirements of ISO 9001: 2000 Quality Management System Standard, which is planned and developed together with other management functions, which caters for the requirements of the customers. Our Vision : To be a dependable and sustainable model in the sector of manufacture of Hotel and Restaurant Textile Products with the best quality and with the best productivity for the international standards. Our Mission : To cater for the expectations of our customers by applying the latest scientific and technologic developments through our workforce, who have been specialised in their own fields, at the highest level in effective and productive way with quality. Our Strategies : • To sustain the development and the leading role of our establishment in our sector. • To bring the Restaurant and Hotel Textile products to the completion in the shortest time possible, which is provided by the technology and to deliver. • To unite the national and international developed technologies with our establishment and to become the pioneer in this field at the international platform for the region. • To sustain the production of our establishment within the international standards and through individuals who are members of a profession. Our Values : Compliance with the Ethical Rules; Observance of the validity of the ethical codes for all of the services. Humanitarianism ; To place importance on the human life and happiness of the human being above anything else. Trustworthiness ; To be in integrity for our employees in their plights and behaviours. Team Work ; To create teams, which contains members that complete each other wholeheartedly, participating and creative. Respect for the Environment ; To accept protection of the environment, which contains physical, biological and socio-cultural fields, as our consciousness and social responsibility.